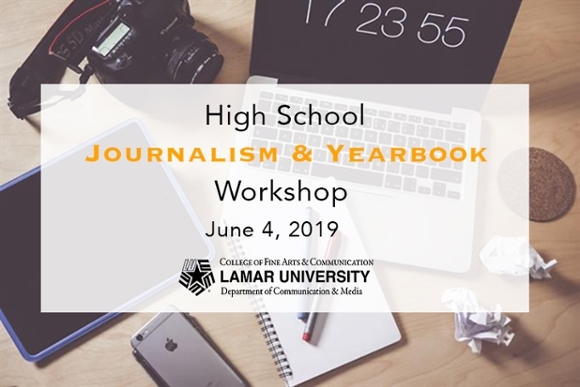 The Lamar University Department of Communication and Media invites all area high school journalism and yearbook students and teachers to join us for this in-depth workshop. One-on-one consultations will be available after the workshop. If you are interested in a consultation, please indicate on the registration form. For further information, please contact Natalie Tindall, chair of the Department of Communication and Media.